June, 1998. A friend of mine has leant me two albums; one is Adam F’s Colours, a more than palatable collection of drum n bass grooves and breaks which I would go on later to buy and barely play again. The second was as he told me at the time “Something of an acquired taste” with a weird-looking cover that set it apart from the usual Designer’s Republic sleeve art which had added an extra layer of cool to the Warp label’s catalogue. Back then Warp were almost untouchable in terms of the quality of their roster. Introduced to them by the same frirend, I’d spent the previous four years devouring their Artificial Intelligence series, followed by post-graduate listening to the likes of Mu-Ziq, Broadcast, Squarepusher and even Plone. 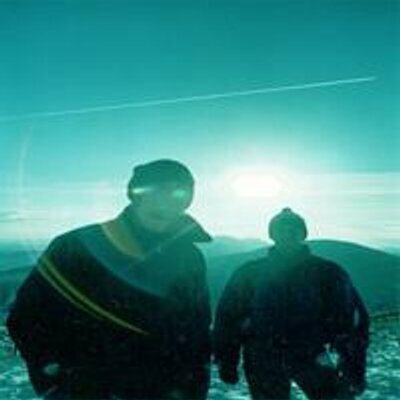 The problem was that this thing by Boards of Canada sounded nothing like any of them, ignoring the clinical editing and precision loops of the moment in favour of scrubbed, composted beats, misty analogue samples and voices that sounded like they came from a seance. I hated it. I played it again. I still hated it. Even now I can’t remember when I secretly bought my own copy, or ate the huge mouthfuls of humble pie I deserved after declaring it self-indulgent twaddle when I handed it back to my slightly bemused friend. Twenty years on there isn’t another record I play with anywhere near the frequency of Music Has The Right To Children; I’ve even put it to my own during their early years, although like the moments when I didn’t like it, they can’t really remember. It might not be the most important electronic/ambient/IDM album ever made, but it’s certainly one of the most influential and more importantly one of the best. Of course there’s something vaguely irritating about the Sandison brother’s reclusiveness, or the mythologising of their supposed back catalogue, but any general frustration with their tortuous creative process certainly shouldn’t undermine the unique power of their finest moment. I’m not sure if I ever did thank my friend. You can read a full review of Music Has The Right To Children here.